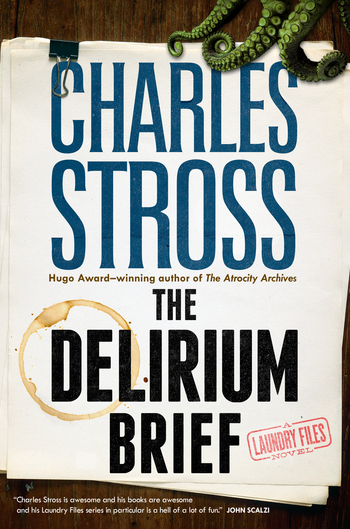 CHARLES STROSS is a British SF writer, born in Leeds, England, and living in Edinburgh, Scotland. He has worked as a tech writer, a programmer, a journalist, and a pharmacist; he holds degrees in pharmacy and in computer science. He has won three Hugo Awards for his short fiction, including in 2014 for Equoid, a Laundry Files novella originally published on Tor.com.